For more information, please contact us. Our email addresses are listed below. 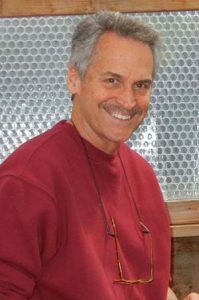 Colle Davis majored in the field of Renewable Natural Resources in 1972, at the University of California at Davis, and he’s been refining Portable Farm® Aquaponics Systems for the past 47 years. After a long career as a successful entrepreneur, businessman and consultant, Colle has always made the time to continue his research to reduce the chronic problems of tank sediment in aquaponics, and he created a new pumping system that solved all the clogging problems in the fish tank and made it possible for the system to automatically remove the sediments from the fish tank without clogging the pump to grow healthier fish and vegetables. Portable Farms® Aquaponics Systems made it possible to fully automate the farm using his own unique engineering, so that anyone, anywhere, can raise their own food. Colle Davis’ lifelong passion has always been to reduce the impact of human activity on the earth, which inspired him to become the inventor of Portable Farms® Aquaponics System. Phyllis Davis, Co-Inventor, Portable Farms® Aquaponics Systems, President, PFAS LLC, EMAIL. To see Phyllis Davis and get to know her and see her knowledge and passion for aquaponics, view her 8-minute YouTube Video of her award winning presentation (Second Prize) at an inventors contest in Southern California. 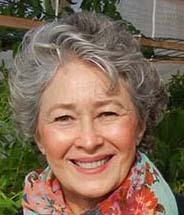 Phyllis Davis’ primary initiatives include developing press and marketing campaigns, and working with media to bring attention to Portable Farms® Aquaponics Systems in 50 US States and 25 countries. Her ultimate goal is to bring awareness to aquaponics and to demonstrate that Portable Farms® Aquaponics Systems’ Aquaponics Systems are the solutions that are needed to provide fresh, healthy and affordable food to stop the cycle of poverty and end world hunger. She also works diligently to improve high yields and rapid growth for the food grown in Portable Farms® and continues to experiment with seed varieties and excellent fish care to maximize production for Portable Farms® Aquaponics Systems. 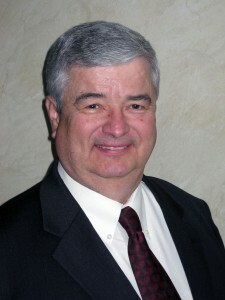 Phil Estes was a founding principal engineer of TranSystems Corp. a national consulting engineering company. During that time he served in the role of Corporate Vice-president of Operations and was responsible for the internal operational policies, procedures and functions of the corporation. He also served as the vice-president of the Organizational Development Department specializing in project office planning, staffing and performance, business management systems and professional training. 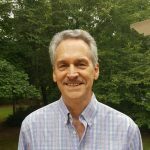 Mr. Estes served s as a Principal Engineer specializing in engineering management, bridge engineering and geotechnical engineering. He has served as a project manager in charge of administration and coordination of preliminary, study, and final design for many rail and many large projects. Mr. Estes managed a number of projects for the city of Olathe, Kansas, for selected rail oriented projects within the city. All projects were completed to a high degree of quality on time and on budget. The Elevated Rail project was awarded the Kansas City Business Journal Capstone Award, the American Public Works Association Kansas City Project of the Year Award, and the Kansas Consulting Engineers Project of the Year Award. He was the engineer representing the contractor in the Three Trail Interchange landslide emergency bridge construction project for the Missouri DOT. He has been involved in other rail projects including the Downtown Oklahoma City Quiet Zone and the Moonlight Rd. Quiet Zone in Gardner, KS. His professional affiliations include, ASCE (American Society of Professional Engineers), ACEC (American Council of Engineering Companies), APWA (American Public Works Association). He is a registered Professional Engineer in Kansas, Missouri, and Colorado. 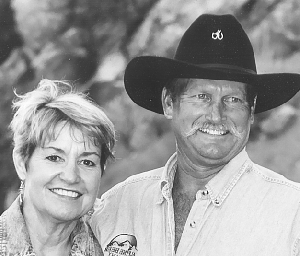 Lane McClelland and Laurie Roberts purchased their first Portable Farm in 2008 and installed it at the San Diego County Fair in 2009 as the central focus of their exhibit about sustainable backyard food production winning several awards as well as introducing the public to Aquaponics. Lane’s construction experience, Laurie’s horticultural background and their shared enthusiasm for the Portable Farms® Aquaponics Systems, led them to become professionally involved in the company over the last 4 years. Lane is the only Certified Installation Instructor and Construction Supervisor which has taken him to Botswana and Nigeria to install commercial Portable Farms® Aquaponics Systems. His problem solving ability, construction background, and humor are highly valued by the Portable Farms Family. Laurie was part of the ‘back to the land movement’ in the early 70’s during which time she learned about growing food, building shelter, and artistic metal sculpting which supported her until hers. She went back to college for her BS degree in Environmental Design from Cal Poly and started her own design/build Landscape Company which specialized in native plant and drought tolerant gardens. This last decade, she developed a self-watering raised vegetable growing system called the ‘Earth Tanks’ which have been installed in 20 schools throughout the San Diego region. Most recently, she served as Project Manager, co-editor and photographer for the recently published ‘Baja California Plant Field Guide. Just wondering if you would be interested in helping The Sustainable, Renewable, and Beautiful Communities Club of Flour Bluff High School get started in utilizing and learning from owning and operating one of your portable farms? You can reach me at 361-694-9849.